This combo pack consists of all the books for class 1, as listed below. This single purchase saves you ₹ 320. This combo pack consists of all the books for class 10, as listed below. This single purchase saves you 520. This combo pack consists of all the books for class 2, as listed below. This single purchase saves you 400. This combo pack consists of all the books for class 3, as listed below. This single purchase saves you 480. This combo pack consists of all the books for class 4, as listed below. This combo pack consists of all the books for class 5, as listed below. This combo pack consists of all the books for class 6, as listed below. This single purchase saves you 600. This combo pack consists of all the books for class 7, as listed below. This single purchase saves you 560. This combo pack consists of all the books for class 8, as listed below. This combo pack consists of all the books for class 9, as listed below. 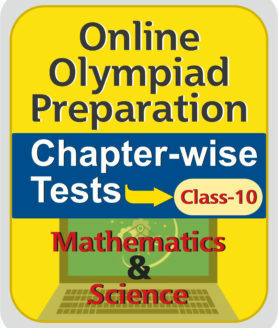 This combo pack consists of all the books required for Olympiad preparation for class 1, as listed below. This single purchase saves you 100. This combo pack consists of all the books required for Olympiad preparation for class 10, as listed below. This combo pack consists of all the books required for Olympiad preparation for class 3, as listed below. This single purchase saves you Rs.125. 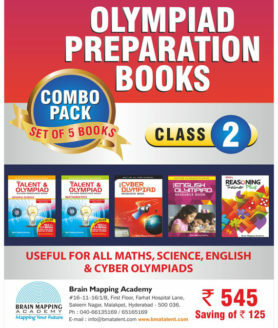 This combo pack consists of all the books required for Olympiad preparation for class 4, as listed below. This single purchase saves you 125. This combo pack consists of all the books required for Olympiad preparation for class 5, as listed below. This combo pack consists of all the books required for Olympiad preparation for class 6, as listed below. This combo pack consists of all the books required for Olympiad preparation for class 7, as listed below. 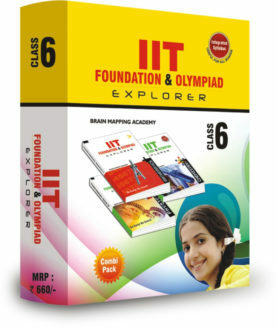 This combo pack consists of all the books required for Olympiad preparation for class 8, as listed below. This combo pack consists of all the books required for Olympiad preparation for class 9, as listed below. This combo pack consists of all the books required for Olympiad preparation for class 2, as listed below. All questions are ‘Multiple Choice type’ with only one correct answer. Test 4 – STEP 4 : This test is formulated using permutations and combination of questions answered wrongly in STEPS 1, 2 & 3. Test 5 – STEP 5 : New questions covering all levels : Basic, Challenging and Advanced. Each test can be taken 5 times. Answers with logical explanations are provided for every test. 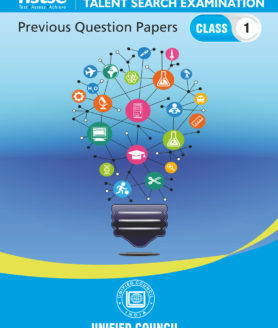 Question-wise Analysis : It gives the percentage of students who answered each and every question correctly and wrongly. It also gives you an idea of your level of performance compared to others who have taken the test. 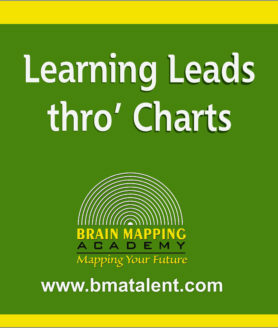 Overall Analysis : Gives the test -wise performance on a single graph. These packages fulfil the need of ‘additional preparation’ of students for regular Board exams.